A DWI charge in New Jersey is a traffic offense, it’s not criminal. That being said, it’s serious. If convicted, you are looking at a lengthy suspension of your NJ driving privileges, alcohol and drug classes at the DMV, fines, and even potential jail time. In addition, you will be facing expensive DMV surcharges as well as insurance surcharges from your own insurance company. If you have been arrested for DWI in Newark, Orange, Fairfield, Livingston, Montclair, or anywhere else in Essex County, New Jersey, it is imperative that you speak with an experienced DWI defense lawyer as soon as possible. The consequences of a conviction for drunk driving in New Jersey range from financial to personal and professional. 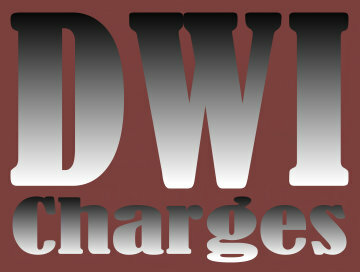 DWI arrests are on the rise and prosecutions are at an all-time high. Worse yet, even first-time DWI offenders are subject to a jail sentence of 30 days, as well as suspension of their driver’s license for up to one year. The Tormey Law Firm concentrates a great deal of its practice on DWI defense and our Essex County DWI lawyers are dedicated to minimizing the potential penalties associated with driving under the influence and whenever possible, helping our clients avoid them entirely. Founding partner Travis J. Tormey has represented countless clients charged with DWI, DUI, and Refusal to Submit to a Breath Test in courts across Essex County and New Jersey. Mr. Tormey’s experience in the courtroom has allowed him to develop a series of advanced defense strategies that he can and will use to help you avoid the most serious penalties for Driving While Intoxicated. Additionally, Mr. Tormey is certified in the Alcotest 7110, the breath testing device used by NJ law enforcement. As a result, he knows how to challenge the evidence in your case. NJ law enforcement will do everything and anything possible to deter a drunk driving conviction. For additional information, please contact the Tormey Law Firm anytime for a free consultation at 201-654-3464. For Mr. Tormey’s client reviews, please see his AVVO profile. In addition, Mr. Tormey was recently named one of the Top 10 Criminal Defense Attorneys Under 40 In New Jersey in 2014 by the National Academy of Criminal Defense Attorneys. He was also heralded as one of the Top 40 Attorneys Under 40 in the Nation in 2014 by the National Trial Lawyers Association. Call the Tormey Law Firm today at 201-654-3464, or email us to schedule a free consultation about your DWI charges in Essex County, New Jersey. One of our attorneys will be happy to sit down with you at our Newark office, answer any questions you might have about your arrest, and formulate a defense strategy to help you avoid the most serious DWI penalties.